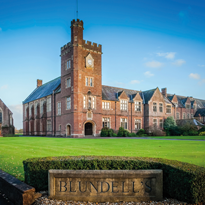 The Business Directory is a service for members of the Blundell’s community where they are able to promote their business products and services to like-minded members across the community. This often leads to support to some of the activities and events the pupils are participating in. Promotional stories are featured on occasions in the Blundell’s publications. Please visit our Business Directory page to view the full listing of Businesses. We encourage you to use these businesses as a first port of call when needing a service or product. Would you like to become a Blundellian Sponsor? You may also like to consider becoming a Blundell’s Sponsor! We always looking for sponsors to help support our events and initiatives. Find out more via our Corporate Sponsorship section of our website.